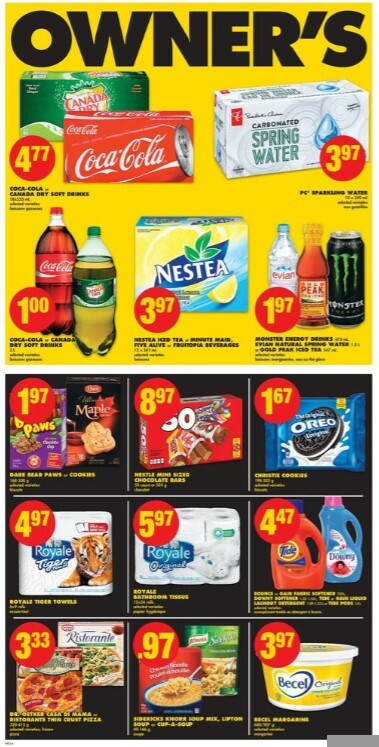 No Frills Weekly Flyer August 31 - September 6, 2017. 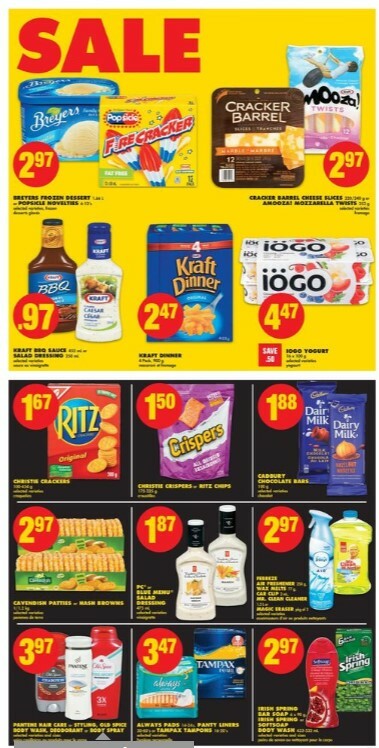 Find owner's sale this week, no frills hours, grocery store flyers. Shop for Lean Ground Beef - Now Price $2.77/lb $6.11/kg. Big pack. Raspberries or Blackberries - Sale Price $1.77 Product of U.S.A. No 1 grade. 6 oz. Black Diamond Cheestring or Processed Cheese Slices - Sale Price $1.88 Black diamond cheestring 168 g or processed cheese slices 450 g. Selected varieties. 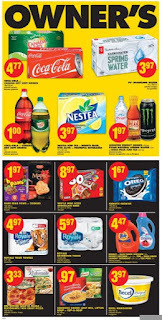 Schneiders Red Hots Wieners, Country Natural Wieners, Mini-Sizzler Sausages, Oktoberfest Suasages or Beef Steakettes - Sale Price $1.88 252-450 g.
Nestle Pure Life Natural Spring Water $1.88 - Sale Price 24 x 500 ml. Selected varieties. 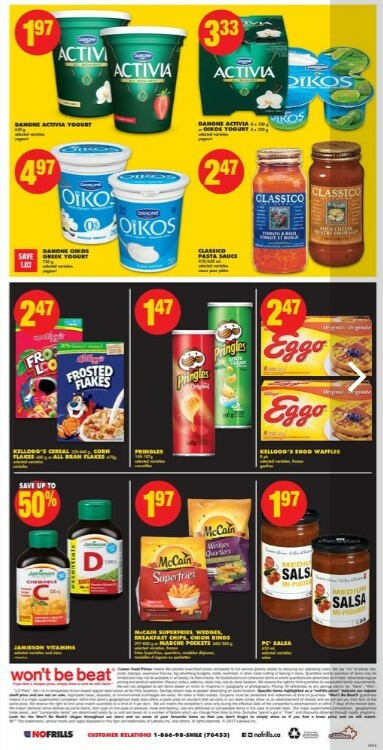 Unico Pasta or Unico Pasta Sauce $0.88 - Sale Price Unico pasta 700/900 g or unico pasta sauce 680 ml. Selected varieties. Maple Leaf Pies - On Price $1.00 Selected varieties. Frozen. 200g. Seaquest Fillets - On Price $4.97 Selected varieties. 400g. Boneless, skinless, frozen. White Colossal Shrimp - On Price $6.97 / $2.75 Savings 300g. Frozen, raw, 16/20 count per lb. 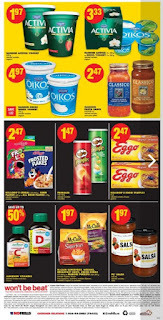 Oka Wedges, Arla Dofino Cheese or Mini Babybel Cheese - On Price $2.97 Oka wedges 100g, arla dofino cheese 200g or mini babybel cheese 120/129g. Selected varieties. Piller's Pepperettes - On Price $6.97 Selected varieties. 300-500g. Schneiders Turkey or Ham - On Price $3.97 250/300g. 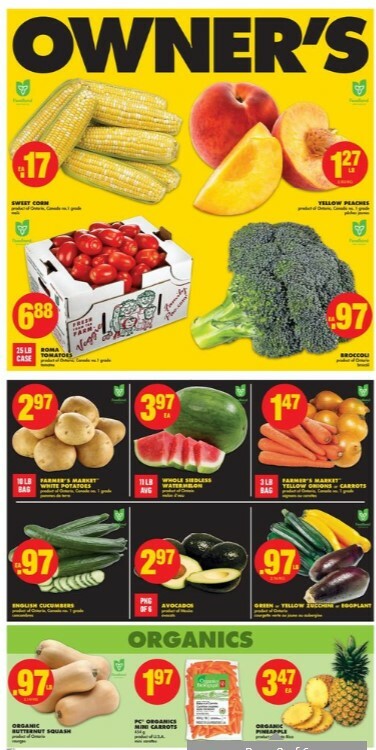 Shop for No Frills Organic Butternut Squash $0.97/lb - On price $2.14/kg. Product of Ontario. 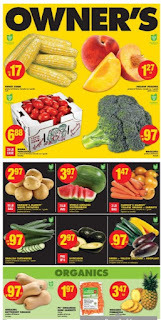 PC Organics Mini Carrots $1.97 - On price Product of U.S.A. 454 g. Also find Organic Pineapple $3.47 - On price Product of Costa Rica. To get posts like this one about No Frills Weekly Flyer, subscribe this post.